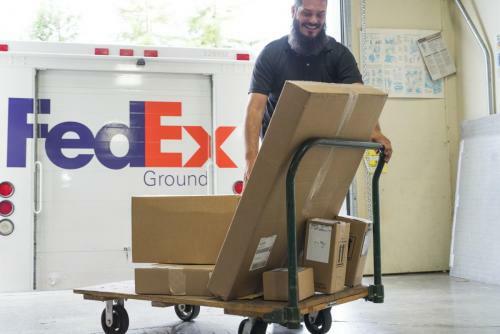 There are many services that the Moving & Distribution Department has to offer, including: moving classroom equipment, furniture, supplies, delivery and pickup of event tables and chairs; receiving, inspecting, and processing all of the incoming freight and preparing outgoing packages. We’re happy to help you move to another office, or just to the other side of the room. We have the equipment necessary to safely move your office furniture where it needs to go. We schedule moves on a “first come, first served” basis. If you need tables and chairs for an event, or would like help moving furniture and equipment, or are in need of additional classroom furniture, please submit a Customer Service Request. As part of the Phase One budget reductions, our daily campus mail pickup and delivery will now be reduced to Monday, Wednesday and Friday. We can distribute unlabeled flyers, notices, newsletters, and other general communications to the campus through the Mailroom. We can deliver to all departments, all staff, all faculty or all campus employees. You can drop them by or send them via campus mail to Distribution Services with instructions, or call 707-826-3932 to find out what other kinds of arrangements you can make.